Handcrafted pair of hematite, the mineral form of iron oxide, stone gauged earrings. 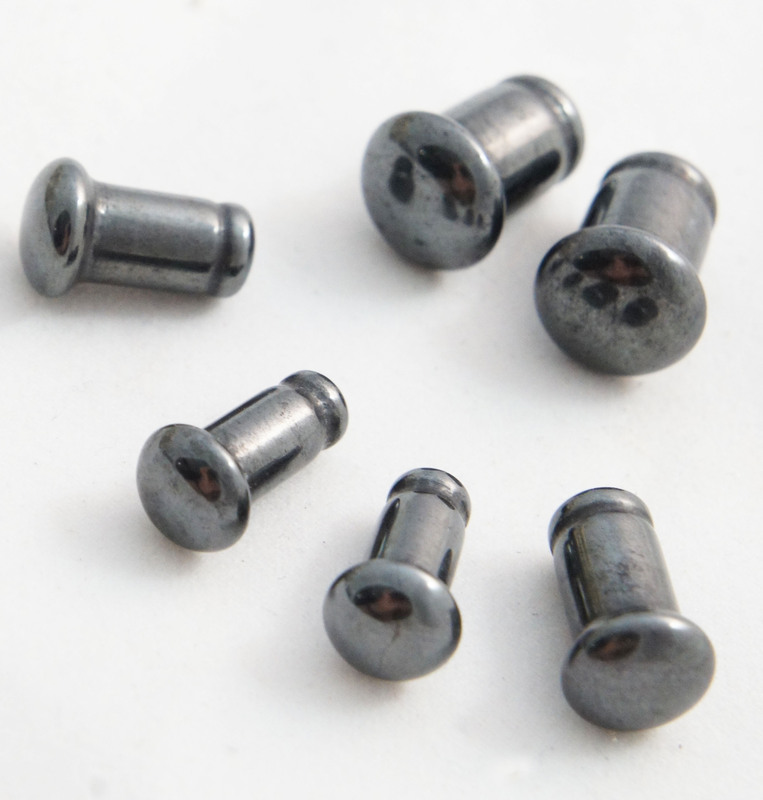 Hematite became popular for the use of jewelry in the Victorian era. This fascinating mineral is heavy but fragile, and it's quite the traveler--it's even been found on Mars! 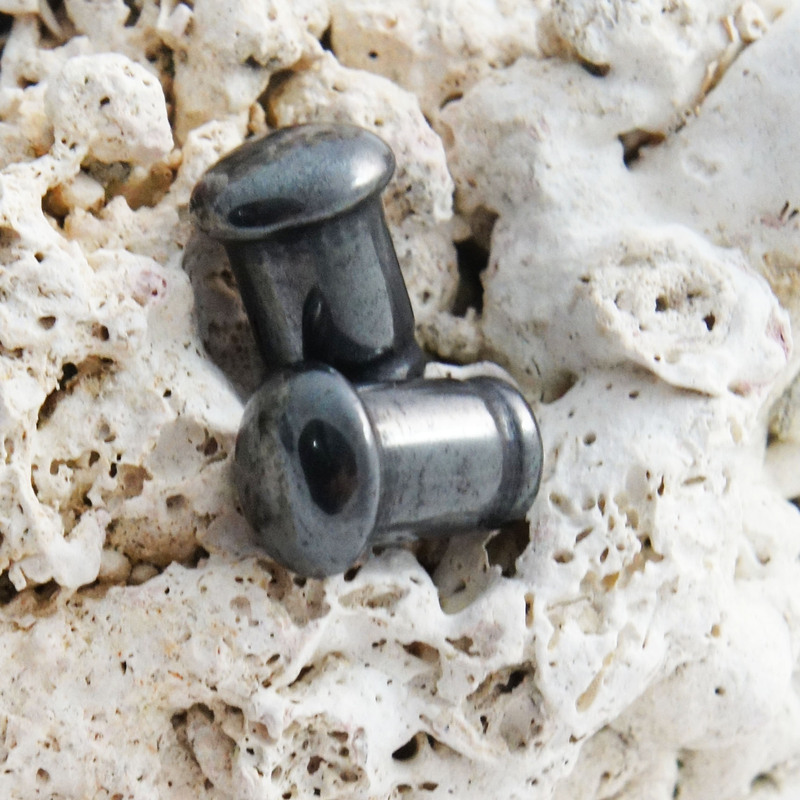 These solid hematite gemstone plugs are single flared plugs that come in several gauge sizes. For sizing we typically have a wide range in stock but if you don't see your ear gauge size listed please let us know. We regularly release new sizes and styles so if it's not currently available now there's a good chance it will be later. 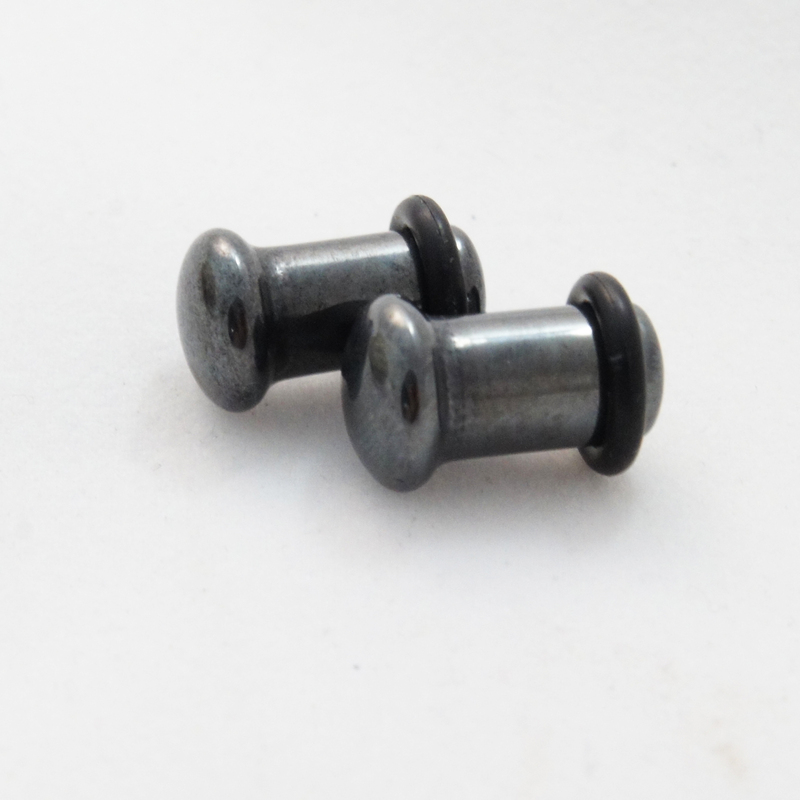 Note: These are sold as a PAIR of plugs. While we're sure that our Organic Ear Gauges will be a great addition to your collection of tapers, we do not recommend wearing them if you are newly into ear stretching or have just moved up to a new gauge and are still healing. Due to the porous nature of horn, bone, and wood they will absorb moisture and bacteria from the healing skin which can cause infection.